Red Priest – Better Red than Dead: 20 Years of Baroque Revolution! 20 Years of Baroque Revolution! From its origins as a young cutting-edge baroque band in the 1990s Red Priest has become established as an essential part of today’s musical landscape, wowing audiences in all corners of the globe with its inventive, high-spirited, rule-breaking approach to music of the 17th and 18th centuries. 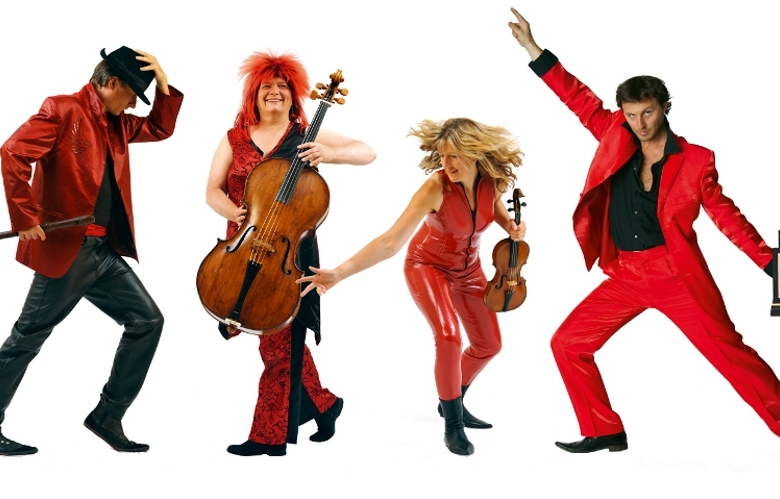 In 2016/17 Red Priest celebrates its 20th anniversary season with ‘Better Red than Dead’ – a retrospective concert of the highlights of the group’s colourful career, together with its latest musical creations. Expect music by Vivaldi, Bach and Handel as well as a few unsung baroque heroes, in an evening of baroque brilliance with a modern twist; Corelli’s Christmas Concerto and Vivaldi’s Winter provide a seasonal touch.